The classical theories of the genetic code (the stereochemical theory and the coevolution theory) claimed that its coding rules were determined by chemistry—either by stereochemical affinities or by metabolic reactions—but the experimental evidence has revealed a totally different reality: it has shown that any codon can be associated with any amino acid, thus proving that there is no necessary link between them. The rules of the genetic code, in other words, obey the laws of physics and chemistry but are not determined by them. They are arbitrary, or conventional, rules. The result is that the genetic code is not a metaphorical entity, as implied by the classical theories, but a real code, because it is precisely the presence of arbitrary rules that divides a code from all other natural processes. In the past 20 years, furthermore, various independent discoveries have shown that many other organic codes exist in living systems, which means that the genetic code has not been an isolated case in the history of life. These experimental facts have one outstanding theoretical implication: they imply that in addition to the concept of information we must introduce in biology the concept of meaning, because we cannot have codes without meaning or meaning without codes. The problem is that at present we have two different theoretical frameworks for that purpose: one is Code Biology, where meaning is the result of coding, and the other is Peircean biosemiotics, where meaning is the result of interpretation. 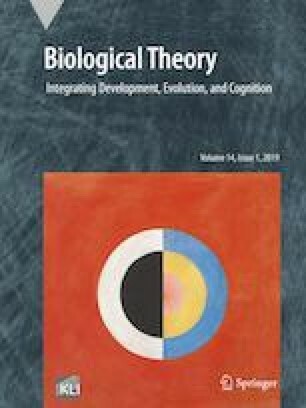 Recently, however, a third party has entered the scene, and it has been proposed that Robert Rosen’s relational biology can provide a bridge between Code Biology and Peircean biosemiotics. I am most grateful to Jan-Hendrik Hofmeyr, to Nikola Štambuk, and to an anonymous referee for comments that have allowed me to substantially improve the first version of this manuscript.